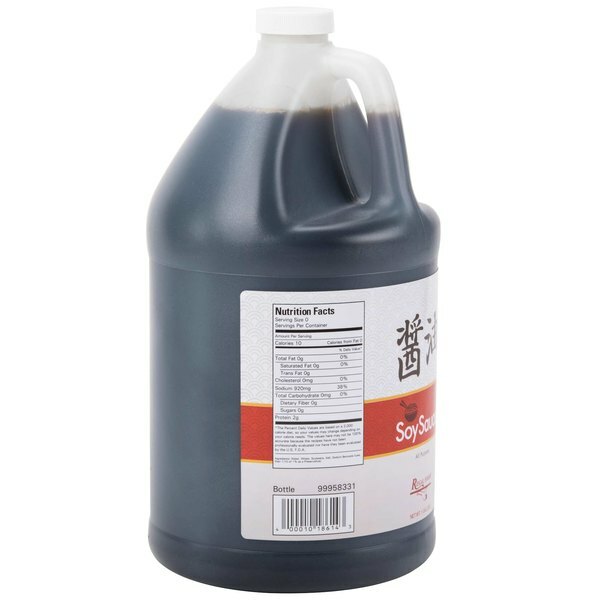 Add a savory twist to your most popular dishes with this Regal Foods 1 gallon soy sauce. Buying condiments, sauces, and baking ingredients in bulk is an excellent way to save money without sacrificing taste and value. This Regal Foods soy sauce is no exception with its great taste and versatile use! 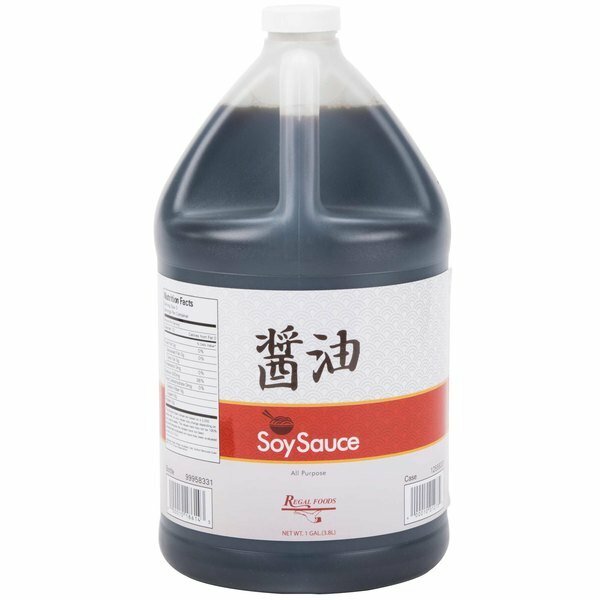 Great for restaurants, bistros, and steakhouses, this soy sauce is sure to become a staple in your kitchen or pantry. "This brand of regal soy sauce is a good product. It work well in my dish and sauces. Buying this in bulk was the best thing I did. Will buy again." 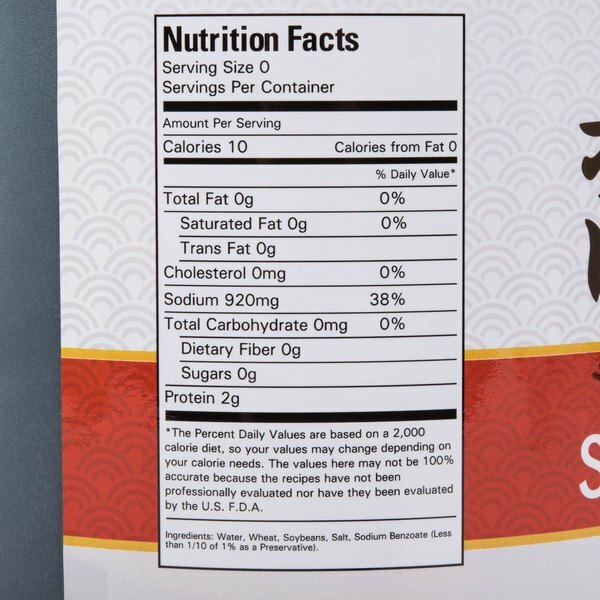 This premium Regal Foods soy sauce has an authentic, classic taste. Made of a fermented soybean paste, the light, smooth consistency of soy sauce is ready to serve as a dipping sauce or can be cooked in meat or poultry for enhanced flavor. The convenient handle is perfect for transporting your sauce around the kitchen or lifting the container to fill condiment cups. To seal in freshness, this container includes a twist-off cap that removes easily for convenient dispensing and goes back on tightly for storage. 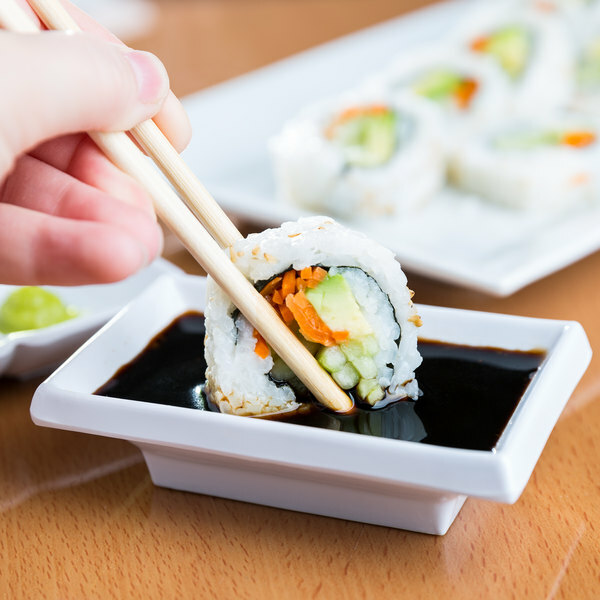 A popular condiment in both Asian and Western cuisine, soy sauce complements a wide array of foods, including sushi, chicken, seafood, jerky, and much more! It makes a delicious and flavorful additive to stir-frys and marinades. This is a reasonably pungent soy sauce. The smell is strong is strong and it has a good umami flavor. You get a lot for what you pay for. I use it to prepare fried rice, pepper chicken and steak among other recipes of Asian food. Its taste is unique and special I recommend it 100%. The Regal foods soy sauce is great and the quality is excellent. 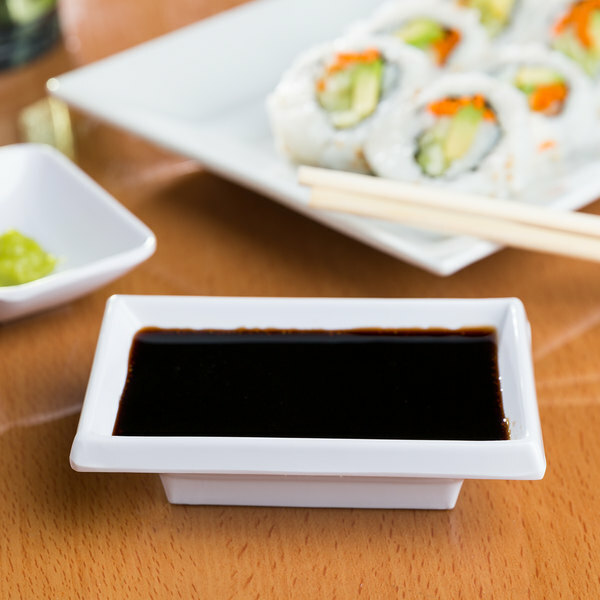 A great sauce for dipping in sushi or topping our ahi tuna steaks. For a little over five dollars a gallon, this soy sauce is wonderful and tastes great. Perfect for bulk serving and has a nice salty flavor. The regal foods soy sauce is a great Asian flair sauce that is great for cooking meats and vegetables. Love the salty flavor and great on rice. I use a lot of soy sauce in my building. The price is very good. It is a good product for what I need it for. A great value for this Regal foods soy sauce. Adds such great flavor to my fried rice. I will definitely be purchasing again in the future! A really great soy sauce that is a nice price. I love the salty flavor and it is must when making fried rice or stir fries. Stores well. I love soy sauce and I have to keep it on hand to eat with my rice. I love these gallon jugs that allow me to refill my glass dispenser bottle. It tastes great. An awesome value soy sauce that works great for seasoning fried rice. We also use this big gallon jugs to refill our tabletop dispensers. A great taste and consistency. good value, quality soy sauce. We used this to make some marinates and it came out perfectly. No complaints. buying in bulk is always better. This soysauce has much more flavor than what I was buying before. I definetly recommend this, and will be buying it again when i run out. Regal Foods is a good brand for getting the same flavors and quality at a less expensive price. This does taste like the other average soy sauces. We are Asian food fanatics in our home. So being able to buy soy sauce by the gallon was a wonderful opportunity. Great value excellent product for cooking with or preparing fresh Asian salad dressings and sauces. Highly recommend. For the price and quality of this product you can't go wrong, this soy sauce has a very good taste and works in stir fry or dipping sauces. This brand of regal soy sauce is a good product. It work well in my dish and sauces. Buying this in bulk was the best thing I did. Will buy again. 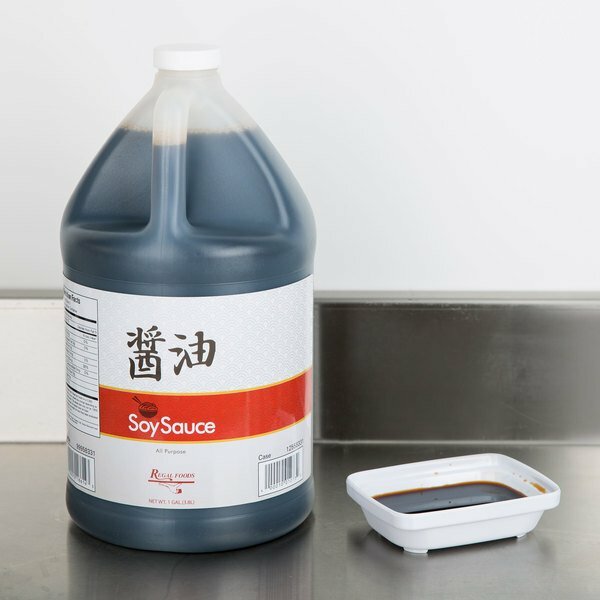 Like someone else mentioned, soy sauces are one of the quickest condemns to go, and buying them in bulk like this will help save the most money. Regal is able to offer great tasting soy sauce too! This is truly a great product. You simply cannot beat the price that is offered on here. I love using this all the time for marinades, sacues or just dipping. Get out the wok and start stir frying your way to delicious dishes again with this great tasting soy sauce from regal foods! Nice bulk item!!! I frequently use soy sauce and it make sense for me to buy it in the 1-gallon containers since I save money with it. The soy sauce is great because there are so many uses for it, I make noodles, meat and vegetables with it on the frying pan and in the wok. It can also be used to top food with in a Chinese manner. This soy sauce is an excellent value for the money because in the other stores you will get half this size for the price, so here at Webstaurant Store you pretty much get more for your money.